Mobile devices have become the most prominent channel to access Web applications. While every mobile device platform like Android or iOS has their own application ecosystem, they are also often used to access Web sites which are not property rendered in such devices. 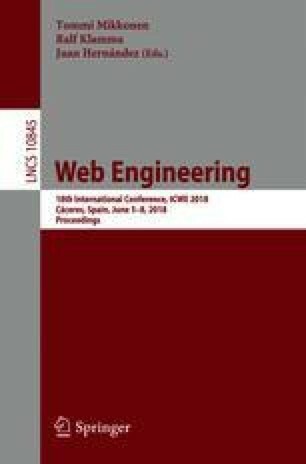 Adapting existing sites to be usable on this kind of devices (with a reduced viewport), techniques like Responsive Design and Progressive Web Applications have appeared, proposing guidelines and good practices to cope with device interface limitations. However, these techniques require a notable engineering effort and cost to adapt sites to be mobile-friendly. In this work, we present an approach and tool that allows to quickly adapt an existing Web application to be usable for mobile devices. The approach does not require to redesign its frontend and can be applied even without having control of the servers in which the application is hosted since we use a client-side approach. To assess its applicability, a controlled experiment has been carried out in which we evaluated the usability of the adapted sites.